The smell of fresh baked blueberry muffins, the warm jolt of energy from that first sip of a mocha, a juicy peach picked right off the tree. Three pretty good aromas right? 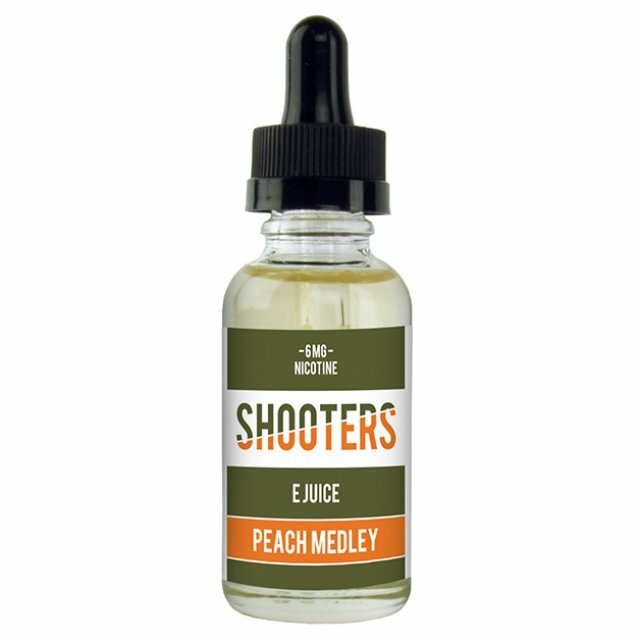 Well now you don’t have to bake muffins, run out and buy a coffee, or break in to your local orchard to experience any of them, not with these deliciously crafted, brand new Shooters e juices. All three newly released flavors come in a standard 33ml bottle, and are available with 0 mg, 1.5 mg, 3 mg, and 6 mg nicotine options. that no mere mortal can accomplish. Now that’s settled, wouldn’t it be nice to experience the gloriousness that is a fresh baked blueberry muffin with every puff of of this newly released vape juice? shops. One big one is the mind boggling aroma of a Café Mocha or Cappuccino hot off the press. Well, it just so happens that the brand new Mochaccino E Juice is a new wave combo of a Café Mocha and a Cappuccino. Every single puff will let you live that coffee shop vibe over and over. peach ice tea. Is there a soul on earth who could say “no” to that? 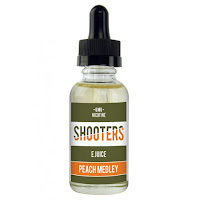 Good thing “no” isn’t an option with the newly released Peach Medley E Juice. Vape juice doesn’t get any better than this. These three new e juice flavors prove that there is no better time than now to vape. The same water can be used to make ice cubes or you can even add powdered drink to the same in order to create mixes. The e juice makes these electronic cigarettes very special. I really like it. I have also a blog which is related with you, which is about vape juice. To make carrot juice you need a heavy duty juicer powerful enough to separate the carrot pulp from the carrot juice. There are so many benefits are available in the carrot juice. The degree to which you enjoy the benefits of juicing is determined by the degree of the quality of your juice production or how it is processed.